Why is Mobile Forensics the key to success? 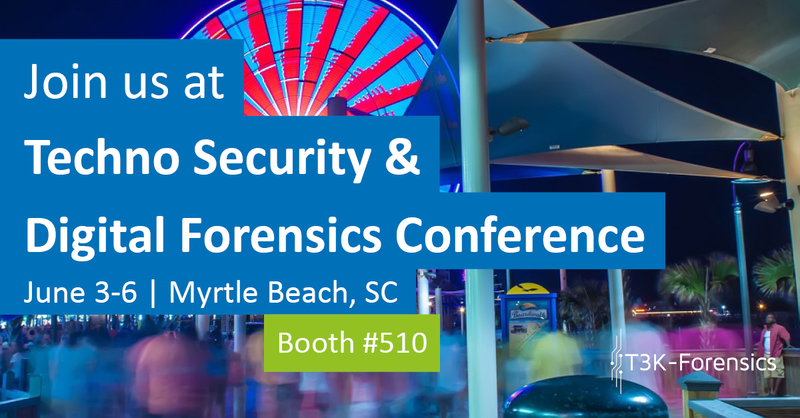 T3K-Forensics is going to the Techno Security & Digital Forensics Conference (June 3-6, Myrtle Beach), presenting its unique analytics platform, which analyzes mobile phone extractions (UFED, XRY) within a few minutes. Visit our booth #510 and be amazed about the highly innovative software solution!